In Conversation with Kriti Kharbanda, talking about her upcoming film Shaadi Main Zaroor Ana! Kriti Kharbanda is an Indian film actress . After beginning the career as a model she made her acting debut with the Telugu film Boni. Subsequently she went on to become one of the top actresses in Kannada. She recently made her debut in Hindi film industry. She played the female lead in Raaz Reboot directed by Vikram Bhatt and co starring Emraan Hashmi. Her second movie was Guest in London, written and directed by Ashwni Dhir.It stars Kartik Aaryan, Paresh Rawal and Kriti Kharbanda. It is the sequel to 2010 Ajay Devgn starrar film Atithi Tum Kab Jaoge? Story: The bride disappears, leaving her groom heartbroken and their families utterly confused! What follows is a roller-coaster ride of ambition, family values and emotions. SONIA: What is Shadi Main Zaroor Ana is all about? SONIA: Do you think it’s important to maintain the love and respect in relationship? KRITI: Yeah! Not just Shaadi I think it comes around to any relationship. It is very easy to get into relationship but to keep that going and to maintain that love and respect towards one and other is very important, be it mother in law and daughter in law relationship, be it mother and daughter or father and son relationship. We are trying to put light on the effort that actually goes into maintaining a relationship. SONIA: What is your Favorite track from the movie? KRITI: My Favorite track from the movie is Banaras, I think it has most beautiful lyrics. I also love Jogi! I think it’s a constant battle between banaras and jogi . 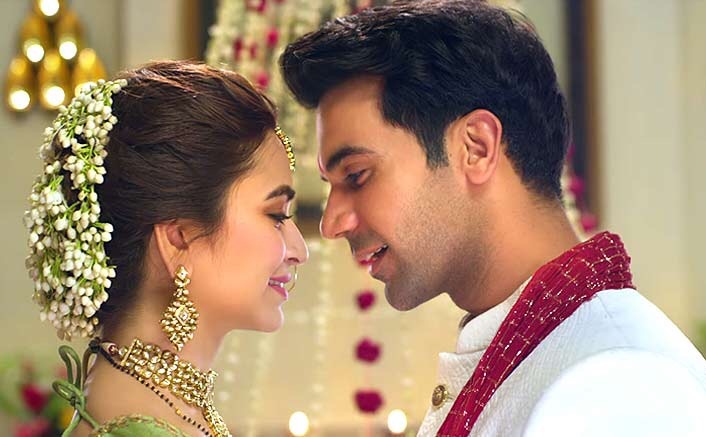 SONIA: Will there be a sequel to Shaadi main zaroor ana? KRITI: A sequel is possible considering we leave the story in such a way and hoping that they make a sequel and I’m really hoping that I get to be a part of it. Previous Upcoming Movie: Shaadi Mein Zaroor Aana! Next India’s most talked about exhibition – The Label Bazaar goes international!